Each $26 lot contains 10 packs. Each pack contains 100 sleeves. 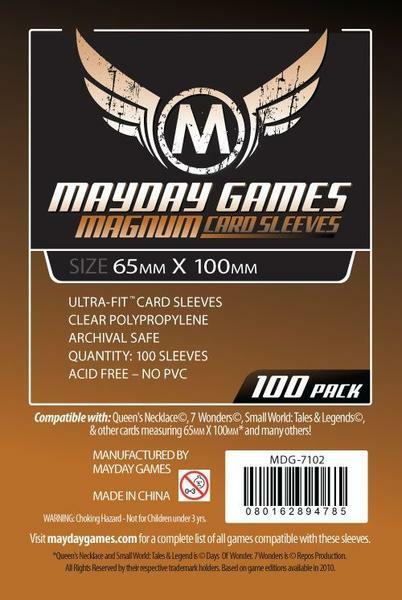 Your cards will fit perfectly in these custom-crafted "7 Wonders" sleeves!